Wyre Festival will feature performances from Flo-Rida, Major Lazor, and Blink 182 and will also host workshops led by Elon Musk, Jeff Bezos, Oprah Winfrey, and many others. 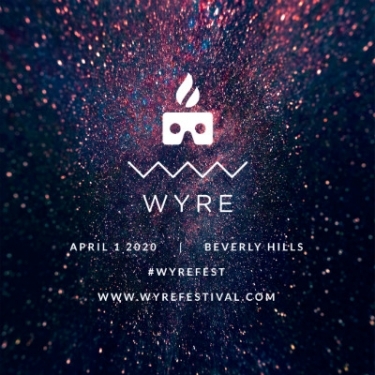 Wyre Festival tickets, travel arrangements, and exclusive VIP packages will be available for purchase at 12:00 pm PST on April 1, 2019. Retreat to an exclusive Beverly Hills locale where A-List attendees will be pushing the boundaries of the impossible. Wyre will take its patrons on a cutting edge technological quest showcasing augmented and virtual reality, artificial intelligence, and more! Celebrate Wyre with performances featuring Flo-Rida, Major Lazor, Blink 182, and Kid Rock, with surprise appearances you will have to see to believe! Attend workshops led by Elon Musk, Jeff Bezos, Oprah Winfrey, and many more of today’s visionaries. Wyre is also offering access to those unable to join in-person. Guests from all over the world will have the opportunity to participate in the festivities through a curated virtual reality experience. “Wyre Festival will be like nothing you have ever imagined. We are bringing together the most elite innovators, celebrities, and athletes from every corner of the world to celebrate the best in technology. "This is going to be an opulent event that will be remembered forever for culminating the pinnacles of science, art, and entertainment in a transformative experience,” says Alex Capecelatro, CEO of Josh.ai. Visit here to learn more about the experience arriving in April, 2020.